Governments can use regulation to limit or eliminate cruelty, as it does in other areas. Bullfighting is undergoing reforms to improve the well-being of bulls. without the use of foxes and this allows both the protection of the welfare of the foxes and the preservation of the cultural practice of foxhunting. It may be possible to establish something similar in Spain with regards to bullfighting. Instead of banning, it would be better to modernise it in a way that does not harm the animals, such as the use of protective pads for the "banderillas", and just not killing the animal at the end. metabolic acidosis, which causes muscle damage, and various other stress-related suffering. 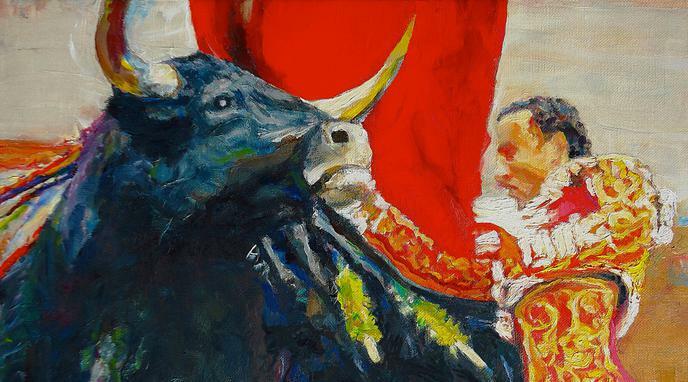 naturally fairly sedentary, and so must be spooked or hurt to provoke the kind of aggressive action that the spectacle of a bullfight relies on. Any regulation that successfully eliminated cruelty in bullfighting would effectively eliminate bullfighting itself. It would however imply stopping the torturing and killing of the animals, thus eliminating bullfighting or changing its nature. If it involves direct violence and death of the bull at the end, there is literally no way to eliminate cruelty. Without cruelty, the whole show of bullfighting would suddenly be senseless, as the whole game revolves around violence. Government imposition of safety laws/measures on bullfighting will compromise the tradition of the sport, diluting it and rendering it inauthentic. India the Supreme Court's investigation found that efforts to regulate local bullfighting did not meet animal welfare standards.